Pictures Sarah, Nutz is here already!! Discussion in 'The Marketplace' started by saroj12, 2/9/19. that was super speedy! Thank you so much! 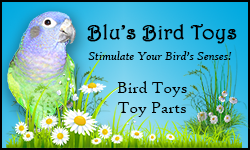 Two birdies are going to be thrilled and I’ll give BScoot the adorable foot toys! Please add the foot toys to your site! webchirp, Teckechick, faislaq and 11 others like this. What are those green ones called :O? That looks like something The Scream Team would enjoy! Teckechick, faislaq, Peachfaced and 2 others like this. Sarah are they called "The JoJo Special?" rockoko, Erikalynnha and Macawnutz like this. The midget foot toys... They were so tiny in my hand I was laughing. I'm working on adding the toys to the site. I will need pictures or a video though! I have no one here that can model either. webchirp, Teckechick, Peachfaced and 5 others like this. Teckechick, rockoko, WendyN and 6 others like this. Teckechick, rockoko, Sarahmoluccan and 4 others like this. Teckechick, rockoko, Sarahmoluccan and 2 others like this. They love their new toys. Is this a subscription toy box? Teckechick and saroj12 like this. Well that settles it. I'll add it to the store. They are so cute, just little dolly sweeties. Teckechick, rockoko, Sarahmoluccan and 1 other person like this. Those little 1" vine balls are small for sure! Nice toys!! Teckechick, Sarahmoluccan and saroj12 like this. Teckechick and Sarahmoluccan like this. Of course a rainbow one. Teckechick, Sarahmoluccan, Erikalynnha and 1 other person like this. Teckechick, rockoko, saroj12 and 2 others like this. Teckechick, WendyN and saroj12 like this. One of these days... someone's going to ship you a box of "easy keepers". So you can put up photos of course. Call the foot toys Morsels or Bitty Bitez something. I love the green on those toys! Teckechick, saroj12 and Macawnutz like this. rockoko, Teckechick, Macawnutz and 1 other person like this. I have got to figure out how the jalapeños keep getting in there. rockoko, saroj12, Teckechick and 1 other person like this. And carrots, too. Are you trying to sneak healthy foods in by disguising them as tempting toys? Something's fishy here. saroj12, Teckechick, Erikalynnha and 1 other person like this.